Informed Insurance Solutions is your access to answers. We’re continually learning about our industry so our clients always have the most current information about programs, products, and policies. And we’re continually learning about our clients, so we can help them understand how what’s happening in the world affects their world, their business, and their options for meeting their unique healthcare coverage needs. We don’t sell products no one else can. We provide support no one else does. We give our clients a sense of clarity and confidence that comes from understanding your options, and knowing your decisions are based on information and advice you can trust. We don’t sell you what we have. We help you understand what you need and find what you want. That’s the difference between average insurance sales, and Informed Insurance Solutions. 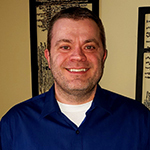 Andy Dorner is Owner of Informed Insurance Solutions located in Green Bay, Wisconsin. He entered the U.S. Army after graduating from Luxemburg-Casco High School. Andy went on to work in the Biomedical Equipment Repair field starting as an entry level technician at Appleton Medical Center until leaving the field as a National Operations Director with Aramark nearly 20 years later. Traveling coast-coast and boarder-to-boarder wasn’t a family life he was willing to accept anymore so he left Aramark. After all that time he never thought selling insurance was in his future but there it was, staring him in the face. An opportunity to assist people with needs that most people know nothing about but need for financial security. Then in the near future the government would require they would have to have insurance like it or not. He would not only get into the insurance field but love it and find it incredibly rewarding. Informed Insurance Solutions focuses primarily on the health insurance market for its customers given the constant changes and increased focus needed to stay an expert in this field. Andy received medical training in the Army, worked in the healthcare environment for twenty years. Andy formed Informed Insurance Solutions as an agency that would represent each insurance company available in the areas his clients needed. This creates not only the “one stop shop” but also provided the client ability for each person to objectively look at each insurance company side-by-side with an educated perspective when making a decision. It’s this ethical foundation that makes us strong. Andy can be contacted at 920-632-4256 and Andy@Informed-Insurance.com. Our customers receive the highest and best service possible! We speak in terms you can understand. We educate you on what insurance is and how to use it properly. We stay with you through the entire process. We strive to create a personal connection. Andy Thanks again for helping me navigate thru the affordable care act and choosing a health insurance that works for me and my small business. I can't say enough for your professionalism helping me with the overwhelming paper work from my accident. I would recommend you to any one with health insurance questions. Thanks again!